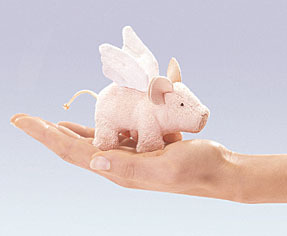 When pigs fly? The time is now! This velvety little piggy defies the laws of gravity. With a magnets in their noses, two of them can kiss or hang on to your refrigerator. Measures 3.5" long.